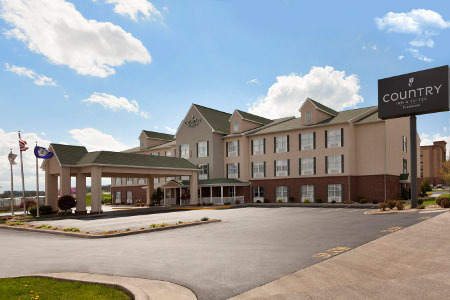 Conveniently located near James Madison University, the Country Inn & Suites® by Radisson, Harrisonburg, VA makes the perfect retreat for a comfortable night’s rest off I-81. Gear up for an afternoon of cheering on the Dukes, or head downtown to peruse the antique shops, only minutes away from the hotel. If you want to experience the natural beauty of the Shenandoah Valley, brave the deep caves at Endless Caverns or walk through the botanical gardens at the Edith J. Carrier Arboretum. 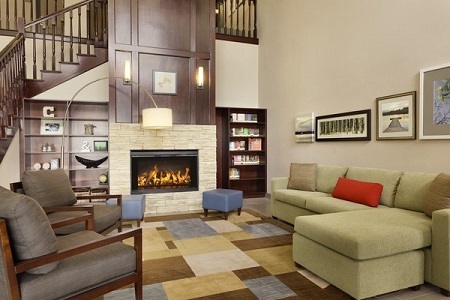 If you’re traveling with your family or a large group, enjoy the spacious One-bedroom Suite featuring one king bed or two queen beds and a sleeper sofa in a separate living area. 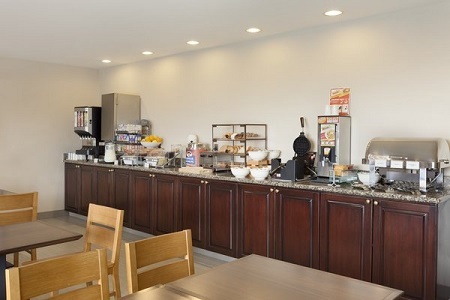 Start your day with a plate of eggs and homemade waffles from the free, hot breakfast in our dining area. If you’re on the go, grab a yogurt or a muffin to take with you on the road. When lunch or dinnertime rolls around, be sure to check out a variety of nearby restaurants. Enjoy juicy steak at Pano’s or traditional red curry at Taste of Thai. James Madison University – Root for the Dukes at Bridgeforth Stadium and Zane Showker Field, or wander through the blooms and trees at the Edith J. Carrier Arboretum. JMU offers a wealth of entertainment across its beautiful campus, located just five minutes from the hotel. Explore More Discovery Museum – The rule “don’t touch” doesn’t apply at this kid-friendly attraction, only eleven minutes from the hotel. Little hands are welcome to shop at CK’s Kitchen & Farmer’s Market, build at the Construction Zone or play surgeon at the Friendly City Medical Center. Endless Caverns – This destination is worth the 25-minute drive. Guided cave tours lead you through numerous rooms displaying unusual formations, including the Cathedral Room, the Blue Room and the Yosemite Room. 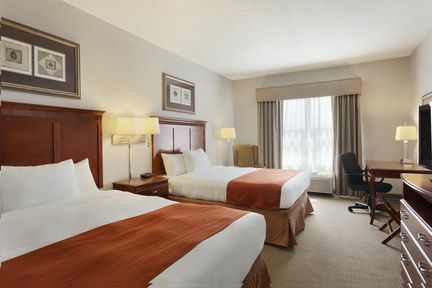 Our hotel welcomes sports teams and tour groups with affordable accommodations located about 15 minutes from the Shenandoah Valley Regional Airport.